I always like to use real locations for my Regency stories. 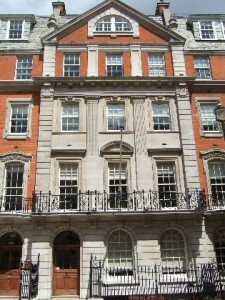 I chose this house in Grosvenor Square for Kit, because I wanted something really imposing – and I think this one does the trick! 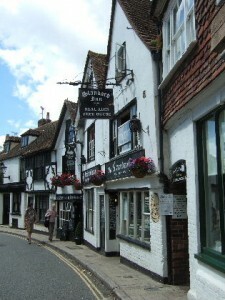 A day spent in Rye really brought the world of smuggling alive for me. The town, and all the villages and towns around it, are awash with brilliant old smuggler’s inns, with low beams, creaking floors and no doubt (though I couldn’t persuade anyone to let me investigate) secret passages down to the old coastline. 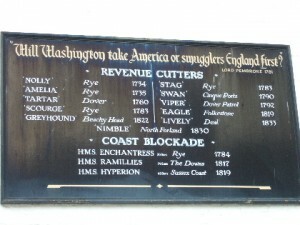 Down by the harbour was this list of Eighteenth Century revenue cutters, the very same type of vessal that poor Lieutenant Smith would have captained. What amazed me was how far the coastline itself has retreated though, so that houses and inns which were once by the water are now quite far inland. When you do walk out from Rye to the sea though, you have to admire the bravery of the men who smuggled (if not their morals!). The tide is vicious, the undertow violent. Even to a complete novice like me, it looked like it would take a lot of skill and a lot of nerve to land there. Ten miles or so inland lies Romney Marsh where the most notorious of all the smuggling gangs, the Hawkhursts, ruled supreme in the 1730s. You can read more about the Hawkhursts and some of Sussex’s many other gangs here.